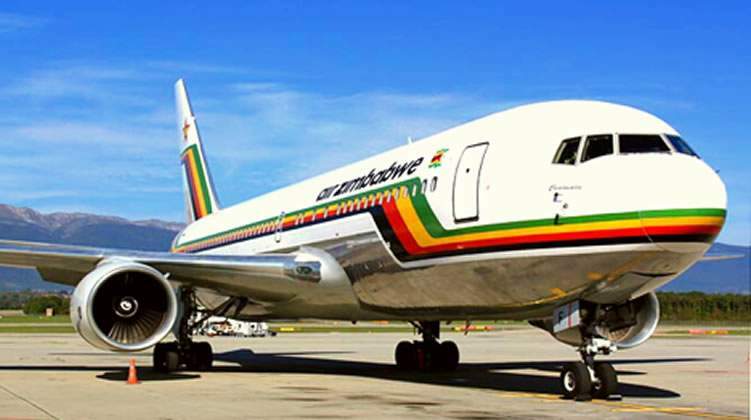 The national airline Air Zimbabwe has been operating one aircraft the B767-200ER and the plane is suffering from an engine technical failure it has emerged. 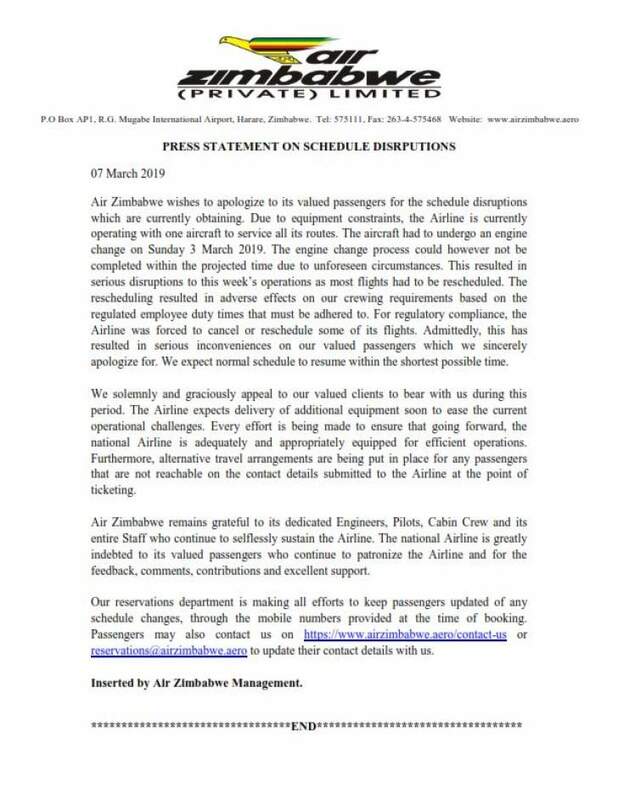 In a statement issued on Thursday, Air Zimbabwe said, "The aircraft had to undergo an engine change on Sunday 3 March. The engine process could however not be completed within the projected time due to unforeseen circumstances. This has resulted in serious disruptions as most flights had to be rescheduled." There are reports that Air Zimbabwe left its passengers stranded in Johannesburg on Tuesday night by flying out four hours early. Air Zimbabwe further said the alternative arrangement is being made for any passengers that are not reachable on the contact details submitted to the Airline at the point of ticketing.